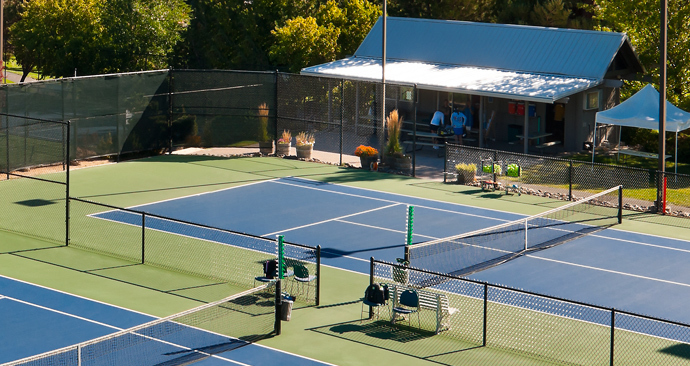 Our tennis center is nestled in the heart of the Caughlin Club community, in Reno, Nevada. Our nine hard courts are situated near lush ponds, and streams, in one of the most desired communities in Reno. We are open all year around, and with seven of our 9 courts lighted, we are open morning until night. For the finest tennis instruction experience in Reno, you have to visit the pros at Caughlin Club Tennis Center. 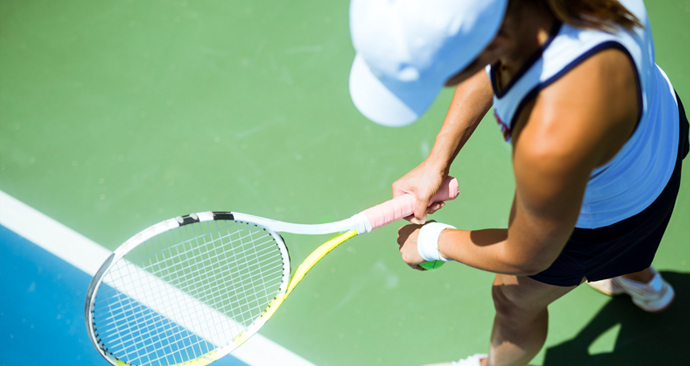 Our staff provides the best combination of tennis experience, and USPTA training, to ensure that your on court experience is challenging, educational and enjoyable. 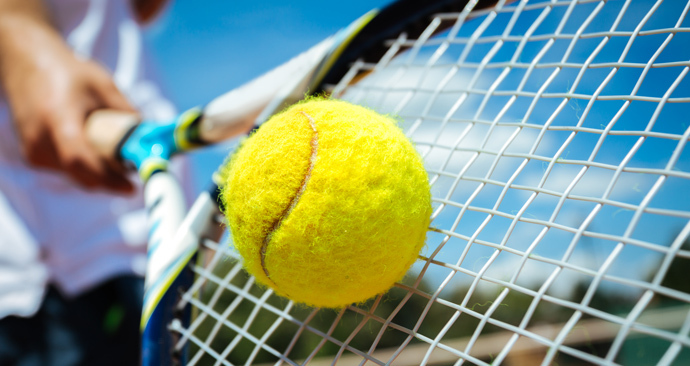 Caughlin Athletic Club offers leagues, USTA teams and socials throughout the spring, summer and fall. 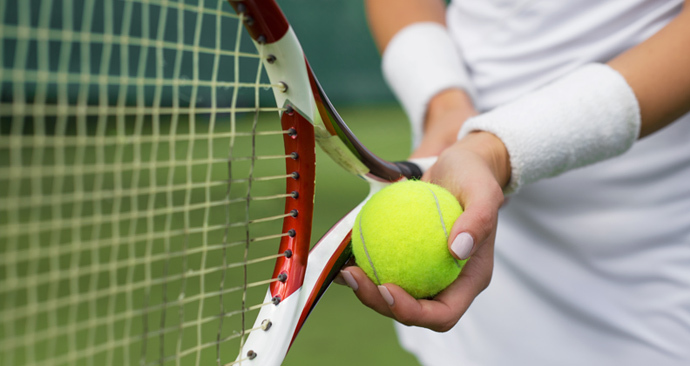 Our tennis guest fee makes it easy for you to spend more time on the court, with more people. 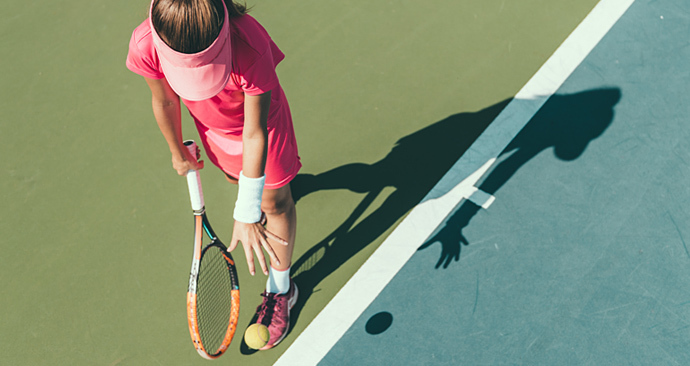 The USTA has developed 10 & Under Tennis especially for kids. It was introduced to help kids learn quickly, have fun, and develop a love for the game through smaller courts, fitted racquets, & specialized tennis balls. Caughlin Athletic Club offers youth tennis camps & programs. 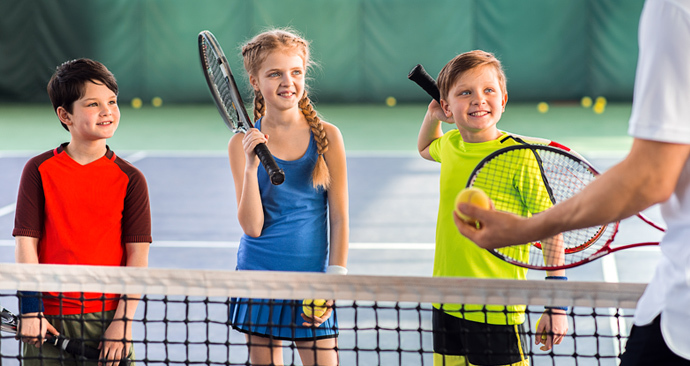 Getting your kids into tennis is giving them the gift of health, social interaction and fun all at once. It is truly the sport of a lifetime. Our tennis professionals are highly qualified and have a proven track record in tennis tournaments and instruction. Our diverse team is here to provide you with the lessons that will take your tennis skills to the next level. Leaving your racquet in the car, in Reno’s hot summer weather, can take its toll on your strings. Before you step on the court, you may want to restring your racquet or check out our options of the latest tennis gear. If you have questions regarding Tennis information or want to enroll, please fill out our form. Contact Randy, the Head Pro at (775) 240-6505, or Kristine, the Director of Tennis Activities at (775) 301-0543. We know that you have choices when it comes to health clubs. So why do so many members choose Caughlin Athletic Club? It’s simple. Caughlin Athletic Club is Reno’s finest fitness club and the best value you will find.